This is the first blog post I have done for Shannon, I’ve remained in the shadows looking after this website ensuring it is working correctly for her. She came to me today knowing how important it is to me asking for a post around the Spring Equinox. So a bit of backstory, for many years I considered myself as an agnostic theist, basically I believed that there were gods (yes more than one) but that I didn’t know if they were actually true, encompassing this I never followed a religious doctrine or set of rules, as I believed science actually answered 90% of all questions many gods from other religions were for. I carried on like this for many years until I started looking into historical re-enactment, through this I found my way to doing Dark Age re-enactment (roughly between 500CE – 1000CE) and joined a local Viking re-enactment group. Within this group, I not only learned how to wield a sword effectively but also more around the culture and religious aspect of the Vikings as part of providing what re-enactors call Living History, this is where at public events you would see the tents and members of the groups milling around between their fights. As a part of this Living History we need to have a basic understanding of the characters we are trying to portray, but I didn’t just want a basic understanding so I took it upon myself to learn more, and the more I learned the more I found myself drawn to the mythology and religious aspects of the Vikings. With this new knowledge I now strongly associate myself as a Heathen, this was the name the Christians from England called the raiding Vikings and in the modern day resurgence of this religion has been adopted by many people. The easiest way to explain Heathenry is that it is a sect of Paganism and sometimes it is easier to describe myself as a Pagan. Don’t get me wrong I still hold a strong belief in everything we know about the universe and our planet is answered with science. But the appeal of these ancient deities sits true to my own personal beliefs. The spring equinox can sometimes be called Ostara or the vernal equinox, and it can occur anytime between the 19th and 26th of March. And from this point forward, the day starts to overcome the night. Ostara is one of the 8 main Sabbats on the Wheel of the Year for modern Heathens, (the wheel of the year for Pagans differs slightly.) 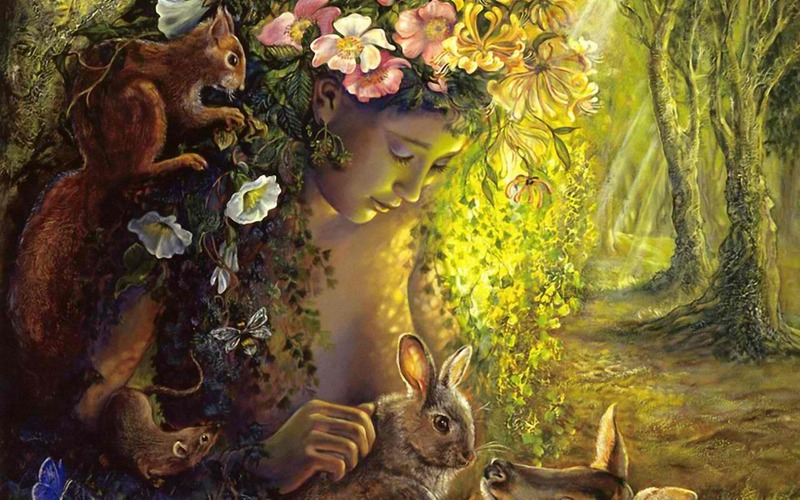 The name Ostara can be deemed to originate from the Anglo-Saxon dawn goddess Ēostre, by virtue of the month bearing her name Ēosturmōnaþ (literally translates as Ēostre Month, and was the modern equivalent of April) being a time where feasts were held in her honour, and has been replaced with what we know as Easter. Even the word Easter can be seen to originate from the name Ēostre, they even sound similar when spoken. I could go on into more of the history around this festival including how it relates to the Viking god Idun, who by the way was also the goddess of Spring and wife of the poet god Bragi, but that’s not for here. Instead, I will similarly celebrate this day like many other religions do. I will be welcoming the Spring into my life and the rebirthing of the year. Looking forward to the great spring and summer we have planned, as well as our wedding. Tonight we will be having a mini feast, and Shannon is currently making some Ostara bread (based of an old recipie, hopefully it’ll taste good,) before settling down to eat too much chocolate eggs (a tradition of giving decorated eggs to others is also associated to Ostara before being changed to chocolate eggs for Easter,) then at the weekend I’ll be planting some seeds with help from the boys, before embarking on traditional Easter festivities next week. *Note – All this information I have gathered over the years from my own research, books and of course Wikipedia. If you would like a simpler version read this article on the Huffington Post.